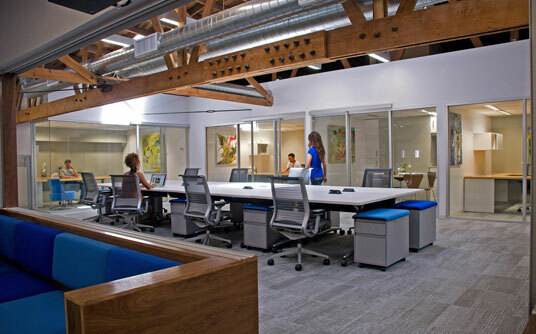 Looking for shared, collaborative workspace? You've come to the right place. SHARING IS THE NEW BLACK. Alliance provides the physical and virtual infrastructure entrepreneurs, consultants and the creative class need to thrive in the 21st century knowledge economy. Alliance Coworking locations will get you connected, both to like-minded entrepreneurs and to super fast Wi-Fi. Enjoy the one-two punch of your own private work area with the networking benefits of an open office space. Get the job done while connecting with your business community at the same time. Coworking is available at select locations. Simply type a city or zip code, or use the map to narrow down your search parameters. Please note at any time you can view a list (List View) or a map (Map View) of the location you are searching. Please call or contact us with any questions or for help in your search! Our coworking spaces are not available for direct online purchase, but we are happy to work with you to set up a tour of the facilities you are interested in, and help you find the perfect location. An Alliance local team member will guide you on a personal tour of the facility and answer any questions you may have. This is a great way to experience the look and feel of the facility while also getting to know the local team and working with them to establish your custom plan. Once you have made a decision on your Alliance serviced office location, you will simply work with the Alliance local team from that point on! They will provide you with the great service and support you expect, from start to finish.